Organisational factors are considered part of the broader human factors domain that link the job, individual, environment and organization to one another. Organisational factors have long been suspected to have the greatest influence on individual and group behavior in the workplace, although there is little research on their role in workplace accidents. This webinar will review the relationship between organisational factors, residual risk and accident causation in the mining industry. It will explore several organisational factors that are common in the mining industry, as well as the existence of a conceptual relationship between organizational factors, residual risk management and accident causation. The presenter will also explore whether the improvement of the efficacy of risk controls, would ultimately improve an organisations safety performance. Format: Webinar Format - Login details will be emailed to registered attendees 1-2 days prior to the webinar. ***This webinar will be recorded and distributed to paid registered attendees 3-4 days after the event. 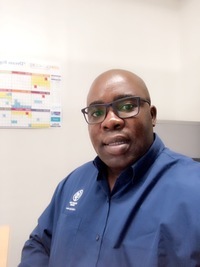 Wonder Nyoni is a qualified and experienced Human Factors (HF) and risk management subject matter expert (SME) in the mining industry. Wonder holds a Master’s degree in Safety and Risk Management from Heriot-Watt University in the United Kingdom and is currently a PhD candidate at the University of Newcastle in New South Wales. His current research focuses on the relationship between organisational factors, residual risk management and accident causation in the Australian mining industry.